The area of Marylebone makes no apologies for its high prices in the Marylebone rentals marketplace. There’s no doubt that it will be hard to find properties at a higher premium than in this fashionable and astute community. Corporate executives, as well as Trust funders and the wealthy in general, keep this area an exclusive enclave of the upper class. With two large exceptions, Oxford Street world famous shopping, and Madame Tussauds Wax Museum, the Wallace Collection at the Museum, and of course Mr. Holmes 221 B Baker Street, you’ll not find a tourist in the village outside these establishments. Much of the neighborhood consists of period homes that have been converted into high-priced Marylebone rentals. The Georgian architecture is clear and a few of the homes have remained single family residences with the bulk of them being Marylebone flat rentals. There’s no mistaking that the privileged class makes investments in a community of those like minded and there may not be any better suburb to raise a family in than Marylebone. The community has a very strong sense of neighborhood and many of the families grow to know each other well through their children’s local sports and excellent schools. Want to know more about Marylebone Rentals? Well, the most famous village shop would have to be Daunt Book’s Flagship Store; the amazing book merchant has a number of cozy spots on the interior to lose yourself in whatever subject peaks your interest. When it comes to shopping, though; Oxford Street Shopping is known for miles, all throughout London, and beyond. Each year more than 200 million people visit the over 300 famed shops while perusing over 5 million square miles of retail heaven. With every posh department store represented to the nines, it’s an area known for its dedication to high fashion. The mile and a half of stores are open Monday through Saturday, 10am to 6 or 7 pm. Though if you’re not shopping, you can have the rest of Marylebone tourist free and visit some of its finer spots that the locals enjoy. For a Michelin Star top shelf meal, you can visit L’Autre Pied for a consistent serving of perfection. But if you are celebrity hunting for some of Hollywood’s biggest stars you’ll do better at Chiltern Firehouse. For those with a middle-eastern flare, you can choose from two of the best ever Lebanese restaurants in Maroush, or Fairuz. For those who prefer to cook their own specialties, the streets of Marylebone will not leave you disappointed. You can, of course, use the convenience of the large Tesco Express or Waitrose; but for the savvy chef, the specialty butcher at The Ginger Pig has a fine offering of fresh and humane meats. If it’s seafood you’re after there’s no better market than FishWorks; for cheese, it’s La Fromagerie, and organic offerings of every kind are available on the weekends farmers market on Sundays. On the Eastern and Northern sections of Marylebone lies Regent’s Park, much has been written about the Park and all of its many offerings. One of the crowns largest parks, Regent’s Park covers 395 acres. Just one of the parks many horticultural assets is the world famous roses covering over 400 different varieties as expressed in more than 12,000 budding examples throughout the Park. The park has dedicated a full quarter of its land use to the enjoyment of outdoor sports. In addition, there is an Open Air Theatre where Marylebone families can take their children to enjoy a movie in the Park, and of course the kids all like the London Zoo and Primrose Hill that showcases over 100 species of waterfowl and wild bird. There are staunch borders that mark the area of Marylebone, to the North is Marylebone Road, the South is Oxford Street, the West is Edgware Road, and the East the border is Great Portland Street. Within walking distance spaced throughout the area are seven different Tube Stations that pick up about every line you’d care to need. 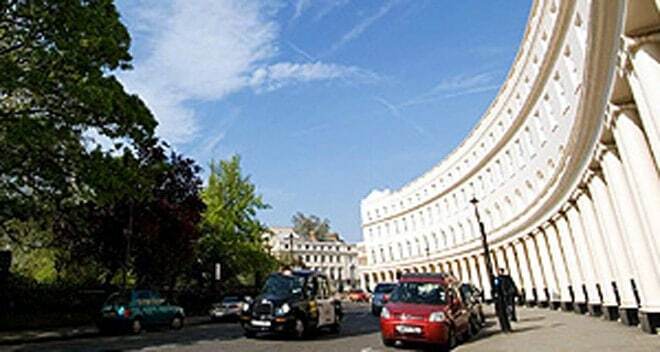 It’s very easy to commute to and from this busy residential section, but not crowded anywhere you are, so those who work in the City find Marylebone easy to commute to. So if you are in West Central Marylebone you have two stations; Great Portland Street (A5), will bring you to Edgware Road Station around the corner, where you can catch the Bakerloo line or another block west to the adjacent Edgware Road Station that has your choice of three lines; the Circle; The District; and Hammersmith & City lines. Traveling East down Westway you will pass the National Rail Marylebone Station, with the Chiltern Railways; continuing East near Madame Tussauds is the busy Baker Street Station, carrying the Bakerloo, the Circle, the Jubilee, the Hammersmith & City, and the Metropolitan, affording you access to every area of London and beyond. To the South West corner to tussling Oxford Street is the Marble Arch station with the Central line connection. East further along the bottom edge of Marylebone is the Mayfair station on Bond Street, connecting both the Central and Jubilee lines. The furthest South East in Marylebone is the Oxford Circus Station at the edge corner boarding Soho, which serves the Bakerloo, Central , and Victoria lines. The Northern border of Marylebone covers two additional stations; Goodge Street Station for the Northern line; Euston Square, with three lines, West to Albany Street and Great Porland Street Station serving three lines as well.